This is an excellent piece! I love the old film, what a classic! 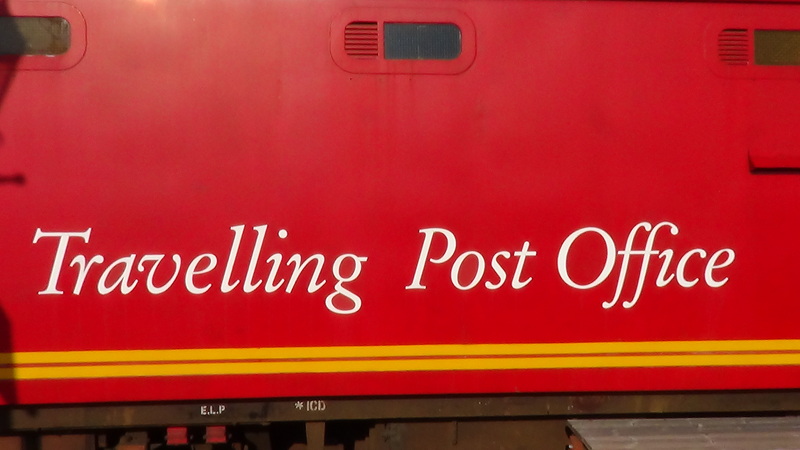 The traveling post office service was first operated in 1830 and grew to include a number of different routes where the mail was sorted en route and dropped off or picked up without the need for the train to stop. 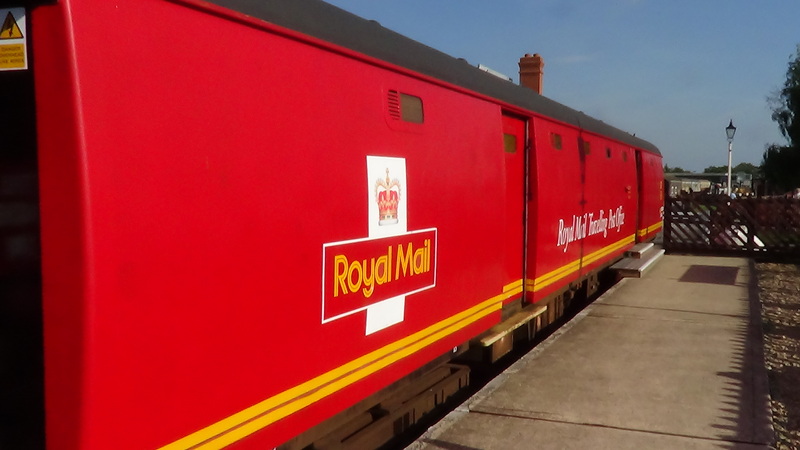 The full documentary includes the poem Night Mail by WH Auden. 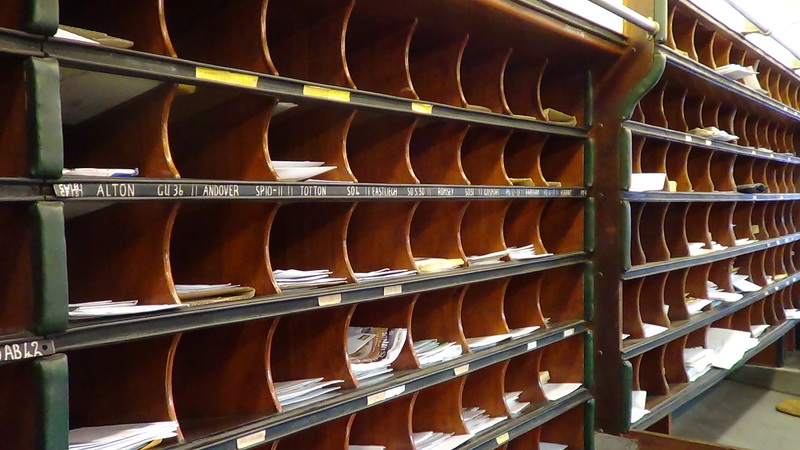 The TPO service finished in 2004 as sorting became more automated. 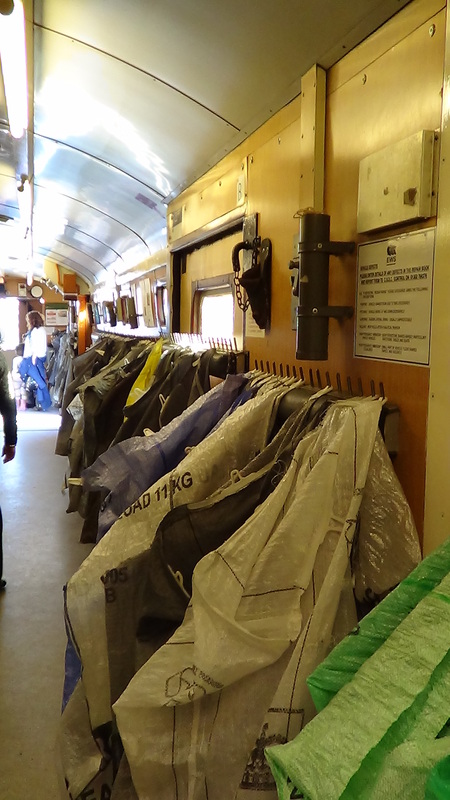 These pictures are of one of the last TPOs to run and which is currently preserved at the Buckinghamshire Railway Centre.